It`s on 1000mm x 750mm stretched canvas in oils. 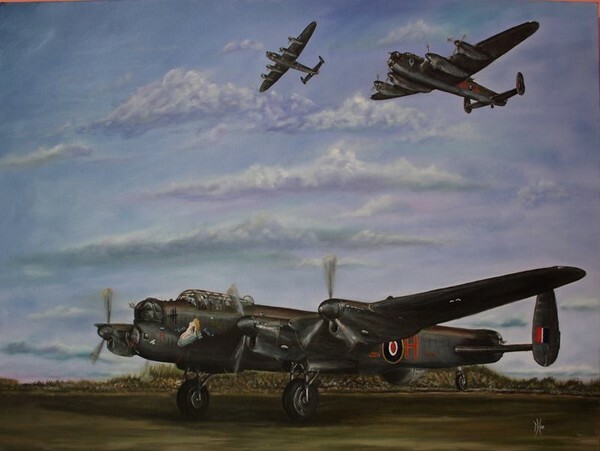 It depicts 3 Avro Lancaster`s (two airworthy Lancs in the world overflying taxiing one, this event happened twice). It took about 3 months to complete.